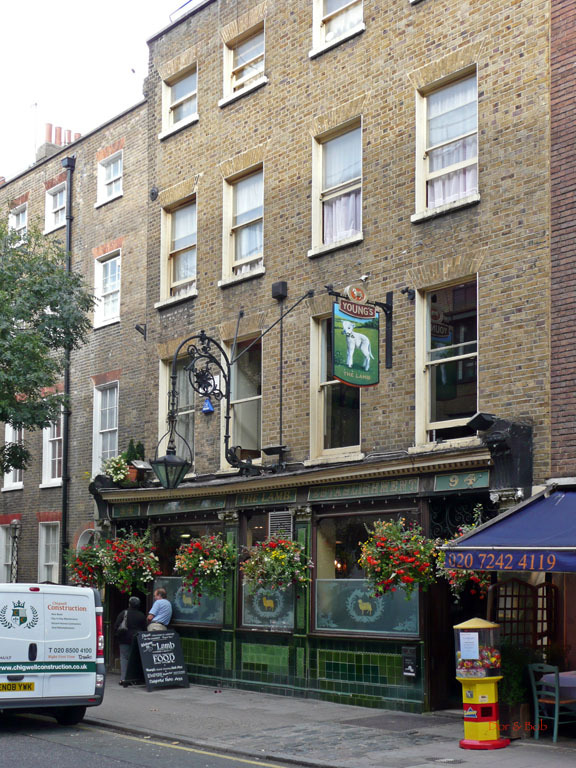 The Lamb is a wonderful Victorian space. 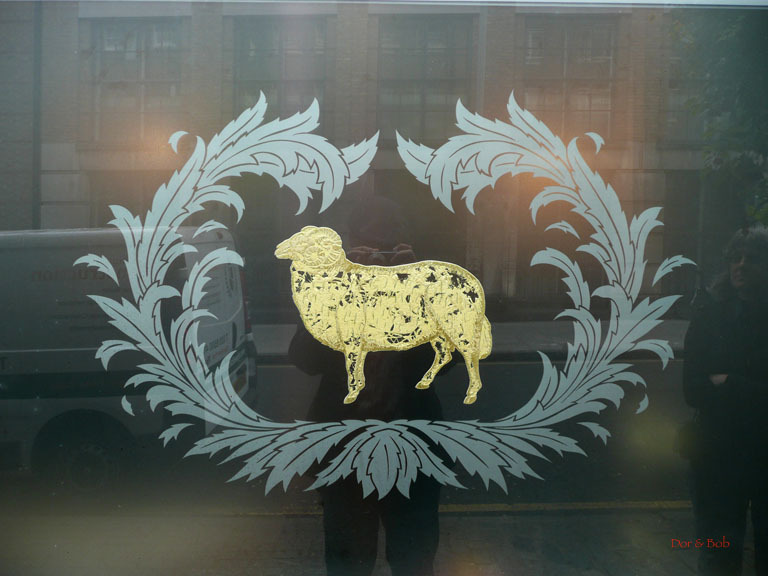 The front windows are frosted/etched and each sports a lamb outline that appears as gilded from the outside. 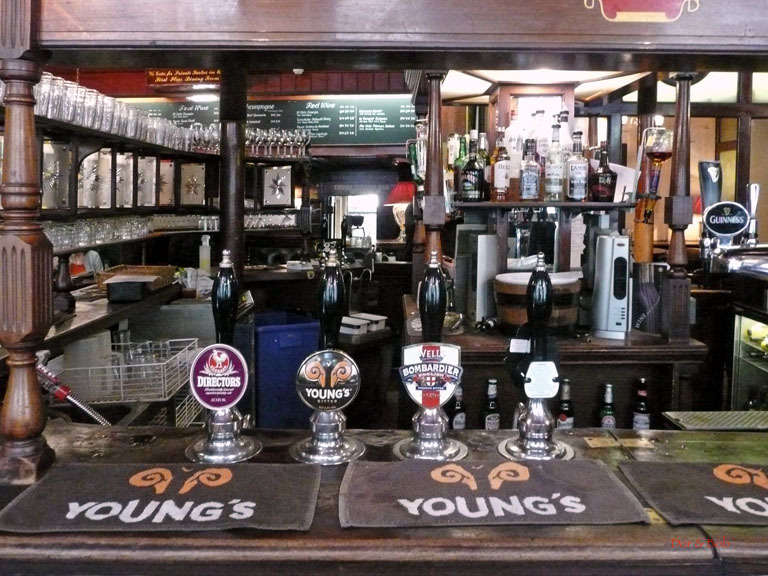 A curved old wooden bar with a cast iron foot rail wraps around and fills the middle of the room. Palm leaf capitals top the columns that reach down from the painted red wood ceiling to the bar top. The columns are connected by a frosted and cut-glass screen of windows that can tilt to prevent you from seeing through the bar to see anyone on the other side. Around the outside of the room is a built-in dark green tufted leatherette upholstered bench that is fronted by various wooden tables. Green carpeting covers the floors and the relatively tall ceilings are simple painted wood. 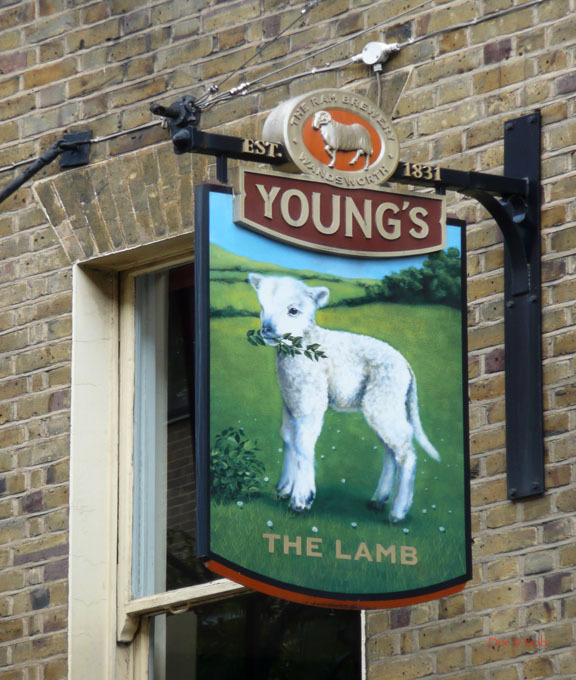 There are four Youngâ€™s real ales available to choose from. On our visit, these were: Directors, Special, Bitter, and Wells Bombardier. The food menu was fairly standard but thereâ€™s nothing wrong with that and what we tried was good (Cheddar Ploughmans and a terrine with melba toast). In the back are a few seats outside and there is also a small bar upstairs.